OK .... panic over. I received the hip flask today and it looks great. Thanks, my friend will be thrilled. 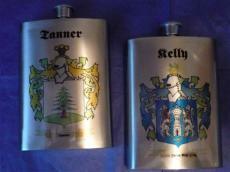 Fine stainless steel hip-flask makes a great gift! 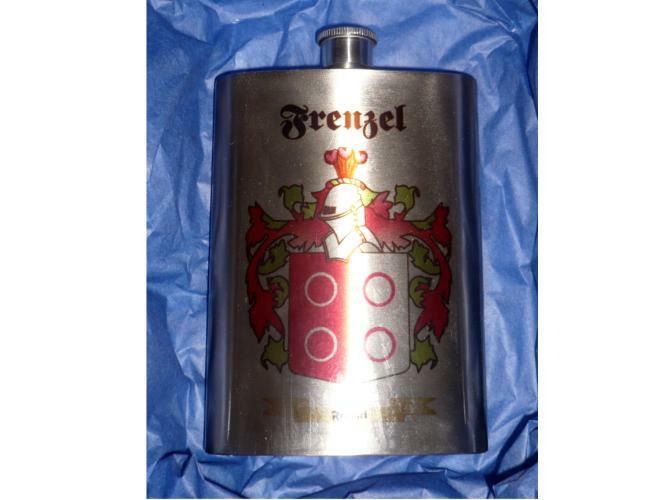 8 Ounce Stainless Steel Hip Flask with Color Family Crest! 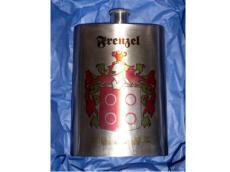 This is a superb polished stainless steel hip flask, with your family crest. 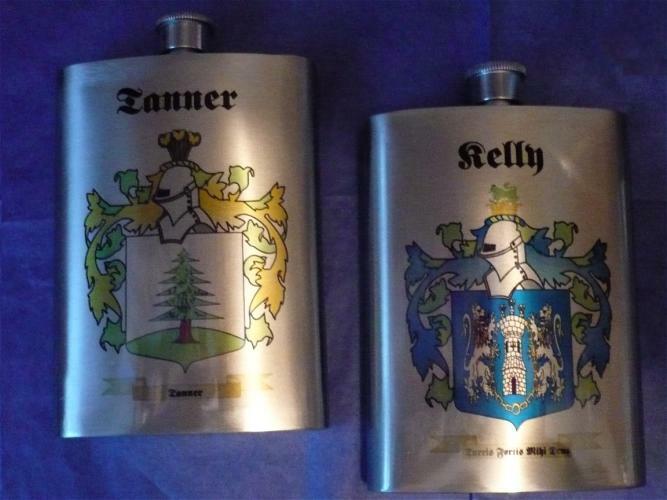 Each flask measures 6*4 inches approx and is shipped in a nice gift box.